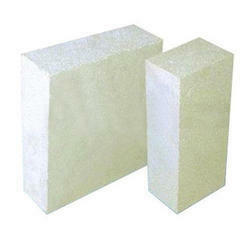 we are leading manufacturers of Porosint 500 Bricks. Rectangular Porosint Bricks, Size (Inches): 9 In. X 4 In. X 3 In. 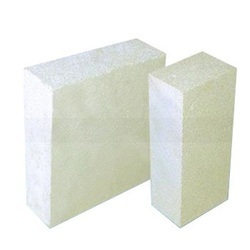 We are renowned manufacturers and suppliers of Porosint Bricks, which are specifically designed and processed to meet exact requirements of the clients. Our team of professionals make use latest technology and high grade raw material to produce these bricks. This range of bricks is considered as the most reliable construction material. Size: 9" x 4.5" x 3"
Use: Use for back up lining in Furnaces. We are offering high quality porosint bricks to our most reliable customers which are situated all round the nation. These porosint bricks are made by using very high quality ceramic raw material which ensures high durability at its user end. We manufacturer to our customer a wide range of Porosint Bricks.